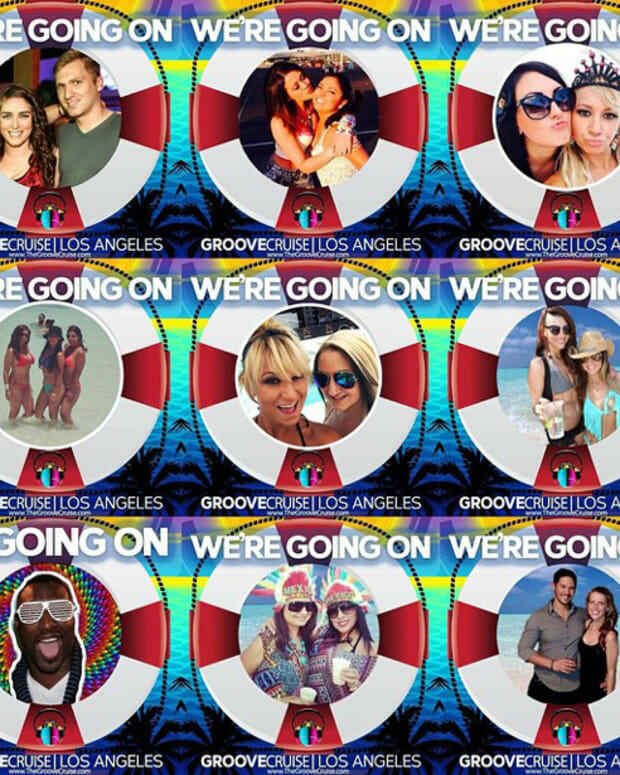 Summer may be over, but that just means that Groove Cruise LA is just around the corner! That&apos;s right, in just a few short weeks dance music fans from all over are gathering in LA and setting sail to Catalina and Ensenada, Mexico. It already sounds like a blast, but the best part is, world class DJs will be spinning various parties the entire trip - both on board and on the shore. And when we say world class DJs, we mean world class DJs. This is my list of who I definitely want to see. Sure it&apos;s a bit of mashup of more mainstream sounds with some underground staples- but one thing I&apos;ve experienced is you can have great time doing both, just keep an open mind and know when to skate when it gets too much. All day I dream of --- dancing to Lee Burridge on the open seas. If you&apos;ve danced to his set on the Robot Heart party on the "playa" (clip below) , you&apos;ll know what we are talking about. He describes his sound as “Wonky, Wobbly, bassline driven, trippy, melodic, mean, nasty, gentle, deep, spacious, distant and rocking.Interesting not obvious. Those are some of the words that I’d use to describe the records in my box". Plus he&apos;ll be at the Monday Social stage... which, based on their LA party, is always a good time! Dude is a legend, like Strictly Rhythm label legend status. He&apos;s since graduated to his own label, Subliminal Records, and even had a street named after him. It&apos;s like that. 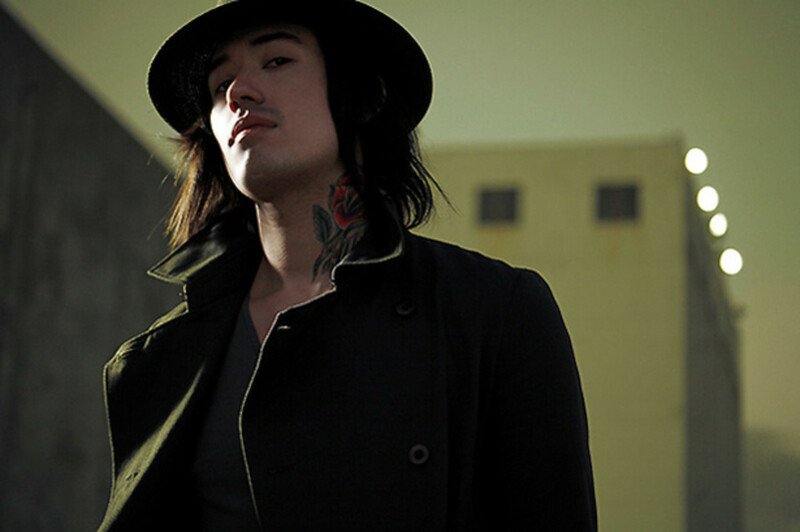 His sound is distinctly house- When he is performing, that is where we will be. When it comes to knowing how to party, a tip of the hat to the Aussies. 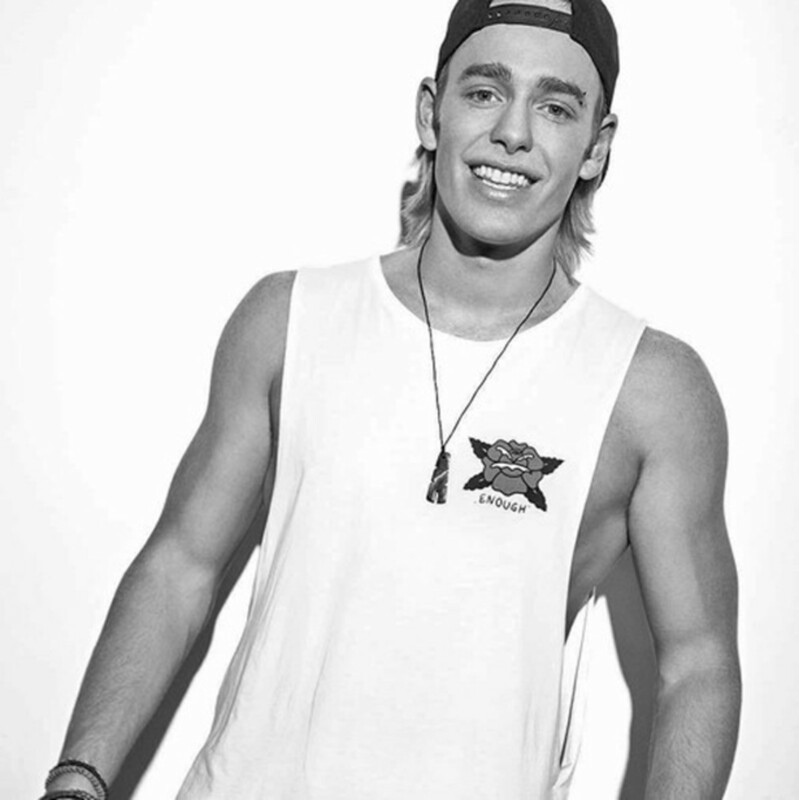 Will Sparks, hailing from that really big island down under, will certainly bring his signature Melbourne Bounce party sound to the stage. Sure it might get a little silly, but if you&apos;re on the cruise to party and have a good time, that is perfectly all right. While hipsters may be lining up to buy "Trap Is Dead" shirts at Urban Outfitters, the true party crowd still goes crazy for the sound. The mysterious Whiiite brings a darker take on the genre, which helps keep it fresh. 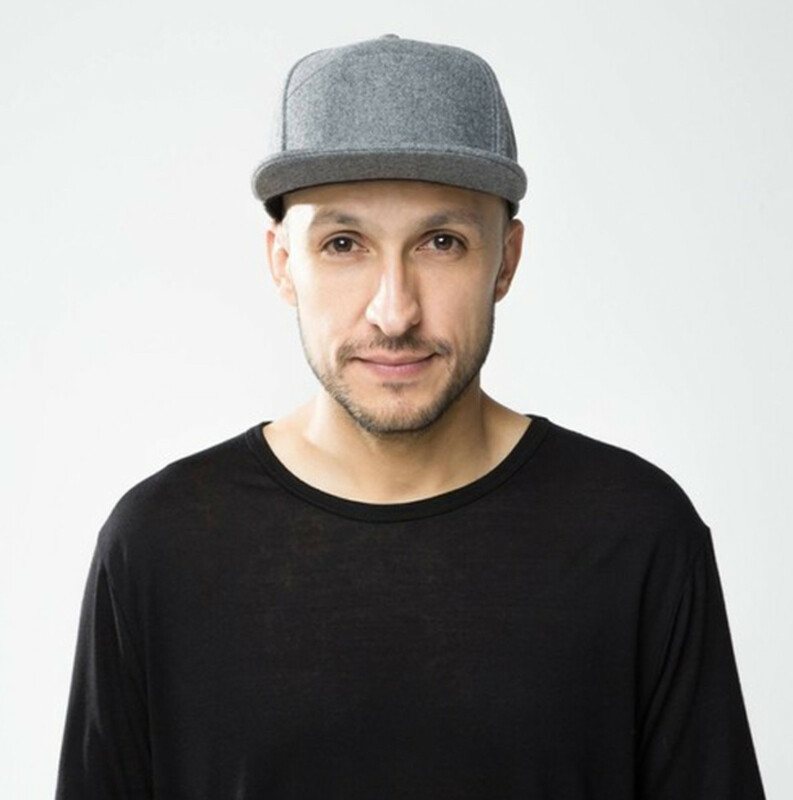 He&apos;s a part of the Control Stage (inspired by the Friday Night party at Avalon, Hollywood), which features sets from Sick Individuals and Swanky Tunes as well. 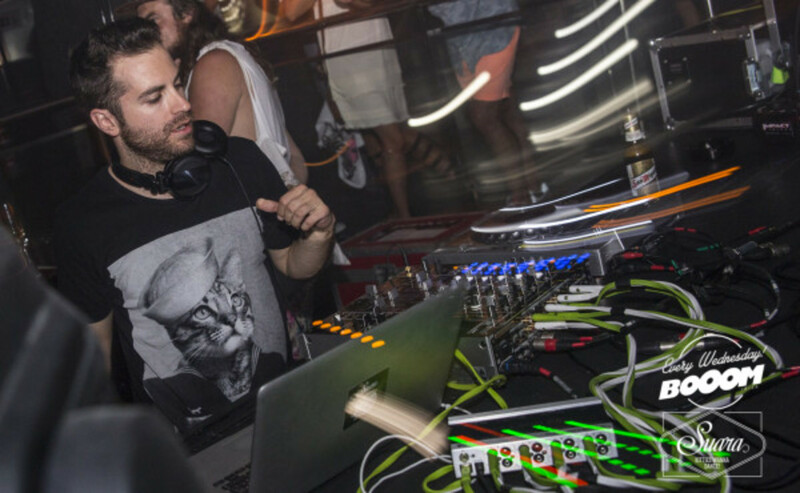 Is the modern house music era upon us? Who knows how it will be classified in the future, but one thing is for sure AFFKT, another Spaniard, is at the forefront. It&apos;s techy, it&apos;s dark, it&apos;s groovy and its full of soul... no matter the time slot, this is going to be one of our top sets to see. Check out his new Hellraiser EP above. There is no shame in this plug here, just because the AWOL homies are some of the best, and nothing sounds better than spending a few hours chilling with them. 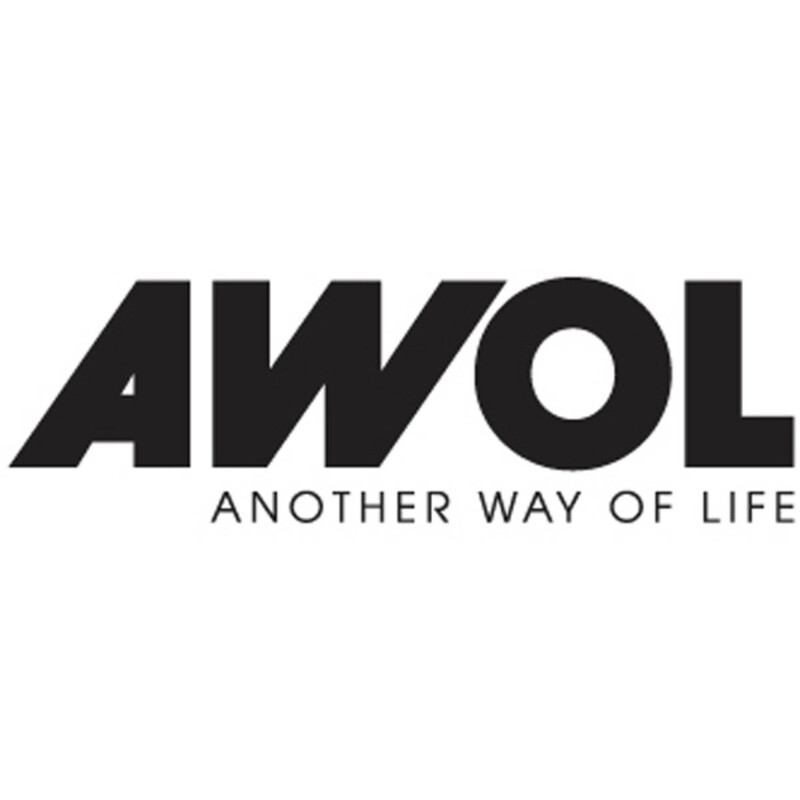 Crazibiza, Mixed Reactions, and Wired will be on the decks- AWOL&apos;s bookings always brings the top choice house music selections. Expect no bad vibes. If you want it brought, nobody brings it better than Vice. A DJ&apos;s DJ and a people&apos;s DJ at the same time damn time, Vice can mix up ANY genre with ease, and skills that make any push button DJ forget what buttons to press. 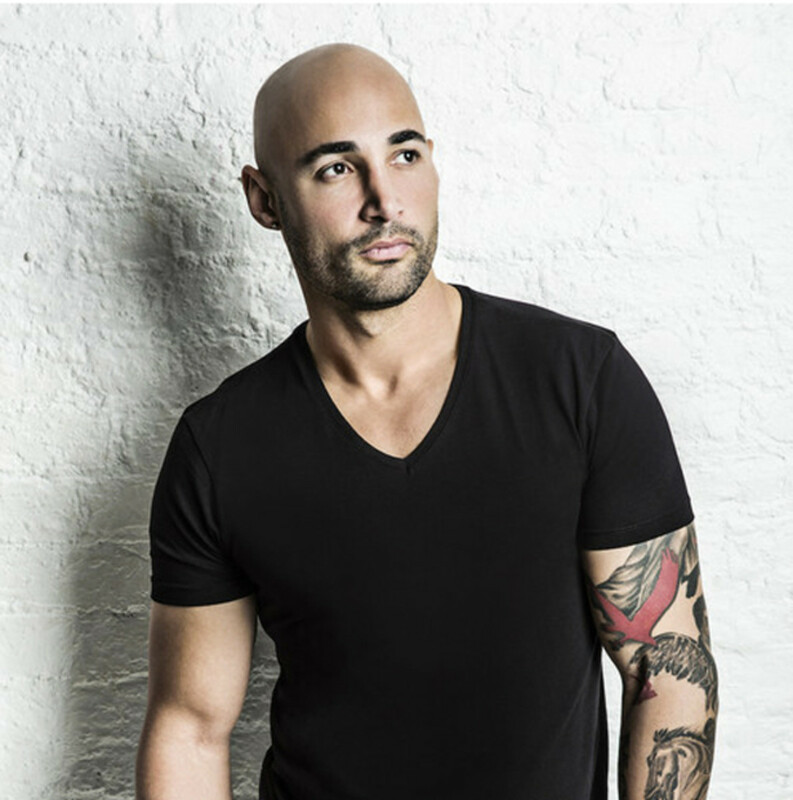 He&apos;s a LA/Vegas/Miami/NY/Worldwide staple, and will definitely stir things up. House music. All. Night. Long. That is what we have come to expect from Donald Glaude. Coming to the Groove Cruise from San Diego (via the Pacific Northwest), DG keeps it real when it comes to his sets. No need for frills, because the music speaks for itself. And that my friends, is how it&apos;s supposed to be. 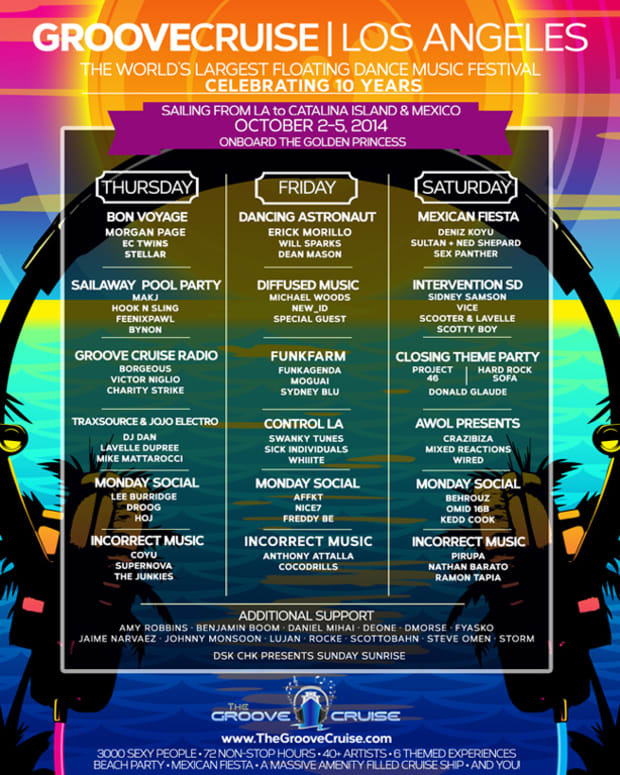 I&apos;m definitely excited to check out Cosmic Gate. I&apos;ve been hearing nothing but praises about them since forever, and now I finally get a chance to see them live. Even better that I get to see them in more intimate setting like the Groove Cruise provides. While I may not be a huge fan of trance there is something to appreciate there, way more than just their legacy. Let&apos;s be honest here, sure I would love to make it to all of these above, and will put forth my best effort. But part of being on cruise (or any type music festival for that matter) is going with the flow, seeing where you end up. 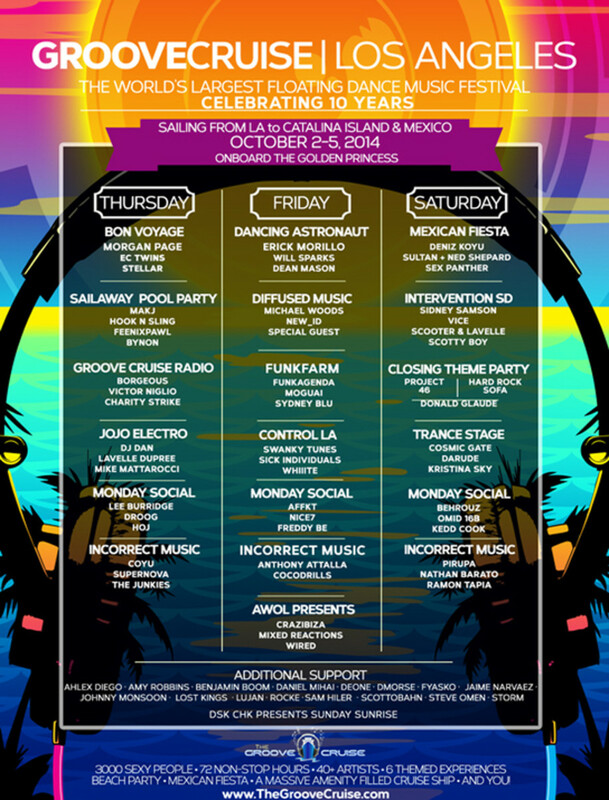 The Groove Cruise lineup is really strong, and all of the artists on the bill have something worth checking out. No matter what, memories of the experience, people, and the music is what I&apos;m bringing home. Want to join us? There are just 50 Rooms left, so book soon. 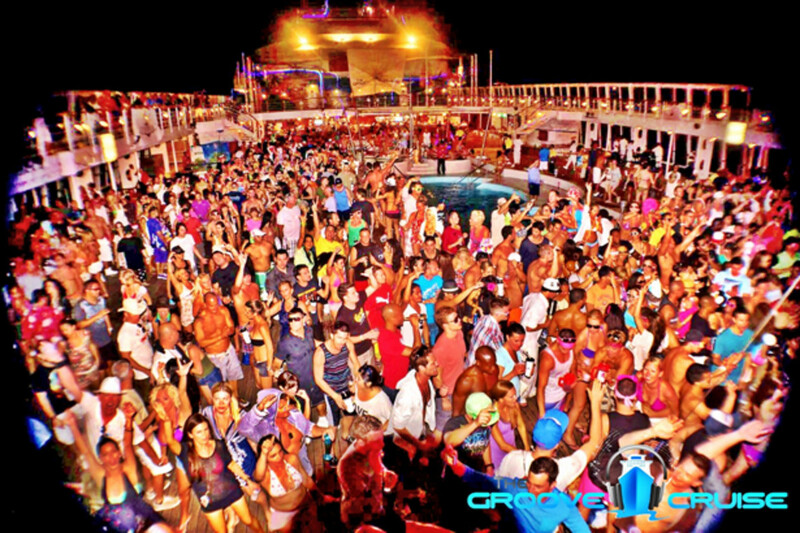 Visit the Groove Cruise website here. Save $50 by entering the discount code "magneticmag".